Apartment 1 (Deluxe One-Bedroom Apartment - 2 + 2 persons) is located on the first floor in the mansard of the house on the right side and has bathroom with toilet, separate bedroom, kitchen, living room with sofa bed and balcony. 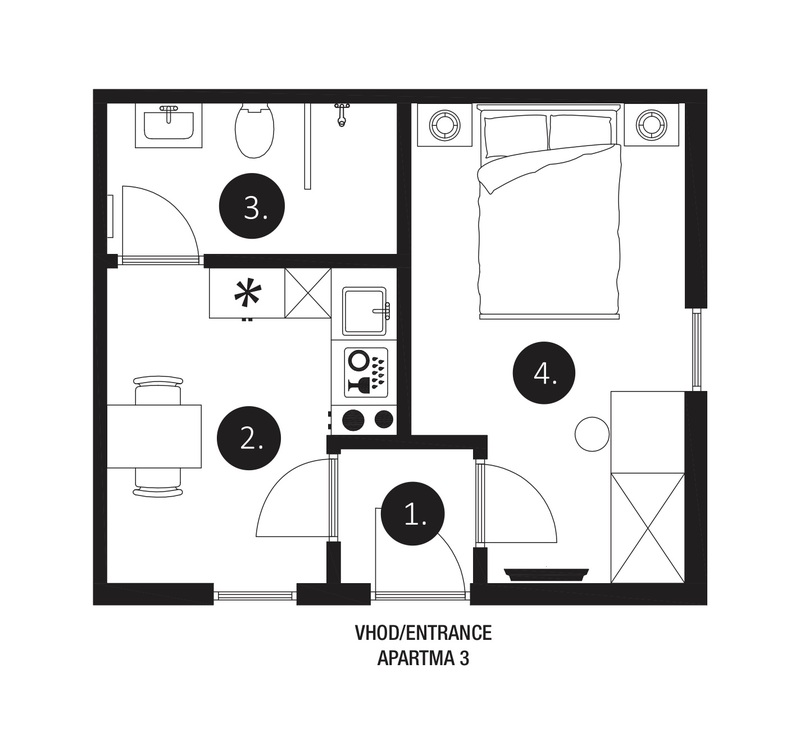 Apartment 1 is located on the first floor in the mansard of the house on the right side and has bathroom with toilet, separate bedroom, CATV, kitchen, living room with sofa bed and balcony. 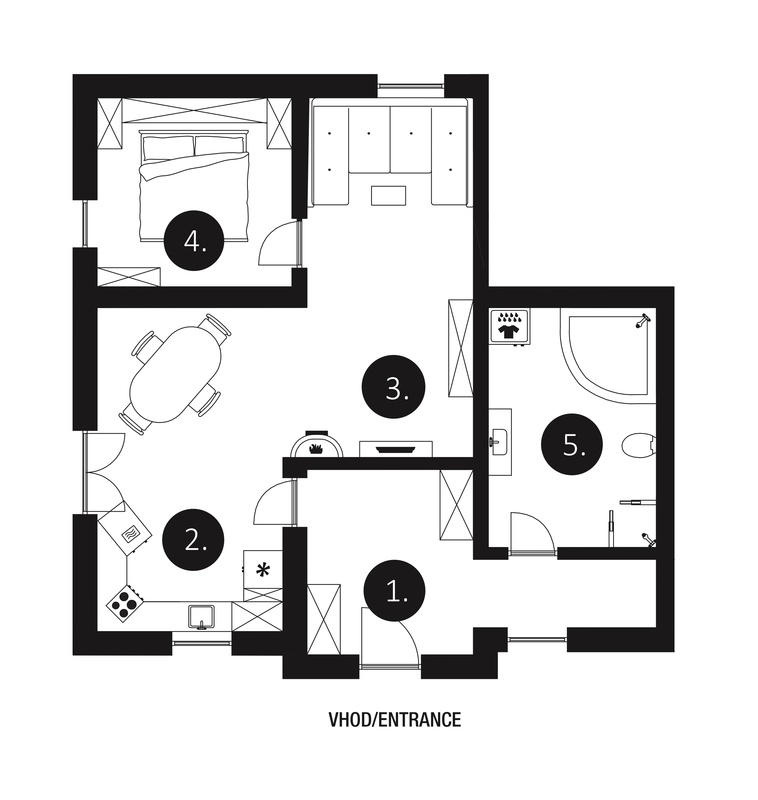 Apartment 2 (Deluxe One-Bedroom Apartment - 2 Adults) is located in the first floor and mansard of the house on the right and has bathroom with toilet, separate bedroom, kitchen, living room with sleeping sofa and balcony. 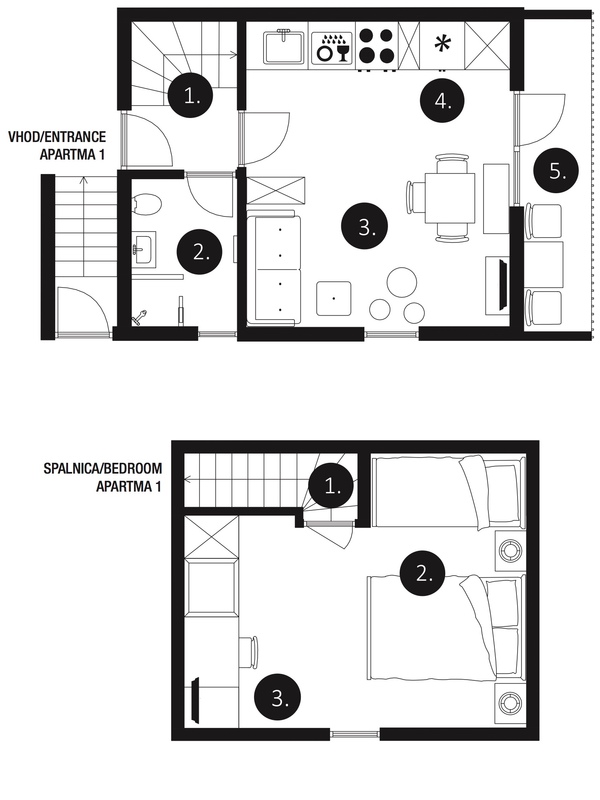 Apartment 2 is located in the mansard of the house on the right and has bathroom with toilet, separate bedroom, kitchen, living room with sleeping sofa and balcony. Apartment 3 (One-Bedroom Apartment - 2 Adults) is located on the ground floor of the house on the right side and has a bathroom with toilet, bedroom, kitchen and small terrace. Apartment 3 is located on the ground floor of the house on the right side and has a bathroom with toilet, bedroom, kitchen and small terrace. Apartment 4 is located on the ground floor of the house on the right side. Apartment 4 is located on the ground floor of the house on the right side and has a bathroom with toilet, two separate bedrooms and kitchen, living room with fireplace and outdoor terrace . 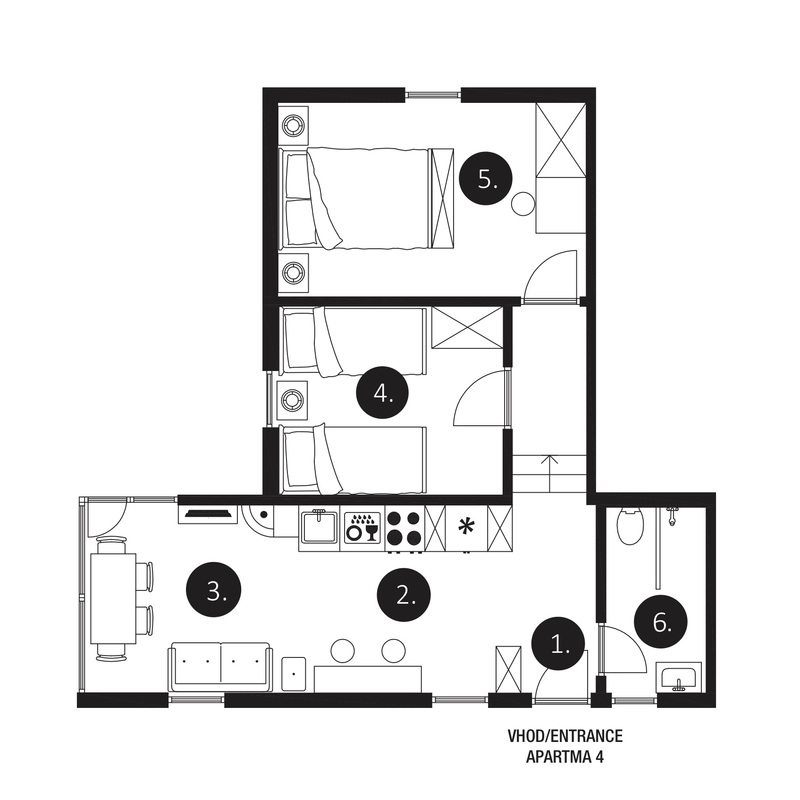 Larger apartment for 4-6 people, located on the first floor and attic. On the first floor there is a kitchen with a large living-dining area, a bathroom and a living room that can be converted into a bedroom. 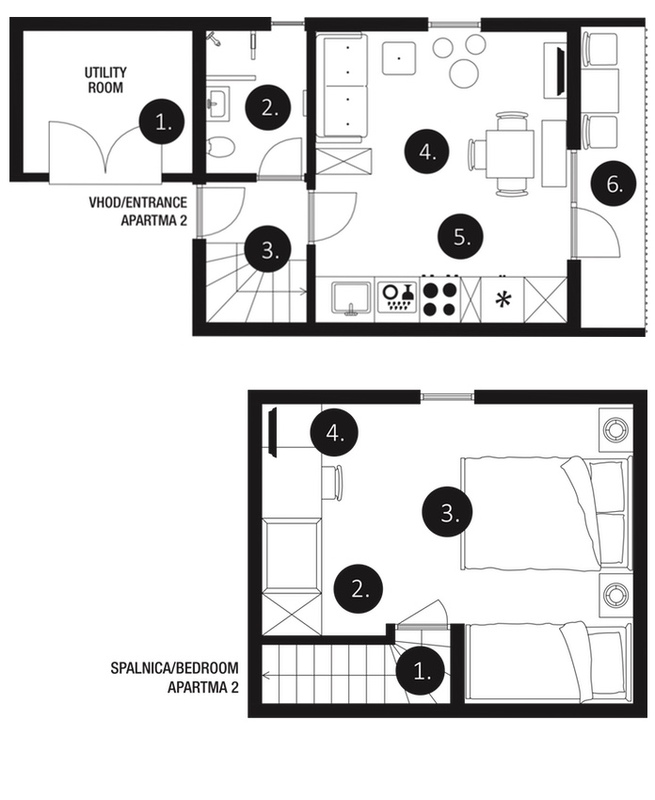 Larger apartment for 4-6 people, located on the first floor and attic. On the first floor there is a kitchen with a large living-dining area, a bathroom and a living room that can be converted into a bedroom. Upstairs are one double bedroom, one double room + extra bed and one single room. The apartment is luxuriously furnished with special furniture "Bohinj", cable TV, Free WiFi..etc. In the spacious garden is a garden with local herbs and fresh lettuce and other vegetables. In addition to sun loungers it is of course also possible to use the grill. Apartment 6 (Superior Apartment - 2 Persons) is located in the first floor of the house on the left and has bathroom with toilet, separate bedroom, kitchen, living room with sofa bed and big balcony/teracce. Apartment 7 (One-Bedroom Apartment - 2 + 1 persons) is located on the ground floor and has bathroom with toilet, separate bedroom, kitchen and dining table, living room with sofa bed and terrace. In apartment is CATV and Free WiFi.